Getting people to pay for parking is actually about customer turnover rather than making a profit for the parking. To make sure the shops get the maximum customer exposure they encourage people to leave by applying a parking fee. 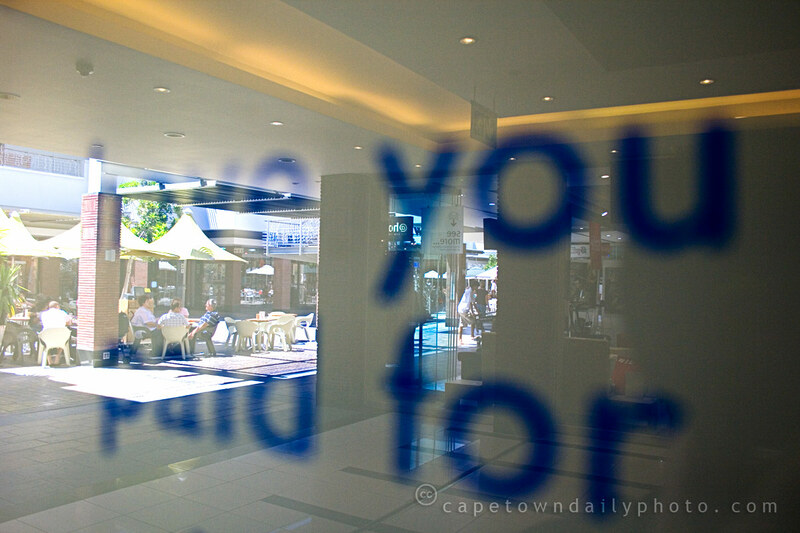 There was an interesting article a while back in the Tygerberger newspaper about parking attendants in Cape Town city centre and how that is there to ensure that the parking spaces aren’t occupied all day resulting in fewer customers for the shops. It actually makes a lots of sense – imagine trying to find a parking in the city centre if all the parking was free and people could park as long as they wanted to. This particular shopping centre might only get that busy over weekends, but I guess it is the same principal. It’s a fair point that you make Duncan. I’d be more ticked off if there were no parking at the centre and I had to drive around for ages looking for parking. There are other larger malls which have paid and free parking. Is this just because of their size and number of bays? On the other hand there are large malls that don’t have any free parking… I wonder what the rational behind these two approaches is. Floorspace vs. parking bays? @Viviane : 10$?? That’s crazy! Wow…. parking here is about 5 ZAR for 2 hours. Okay, one can’t compare currencies like that, but wow… 10USD!